If you or a loved one became a victim of personal injury, you may be entitled to receive compensation for your injuries. 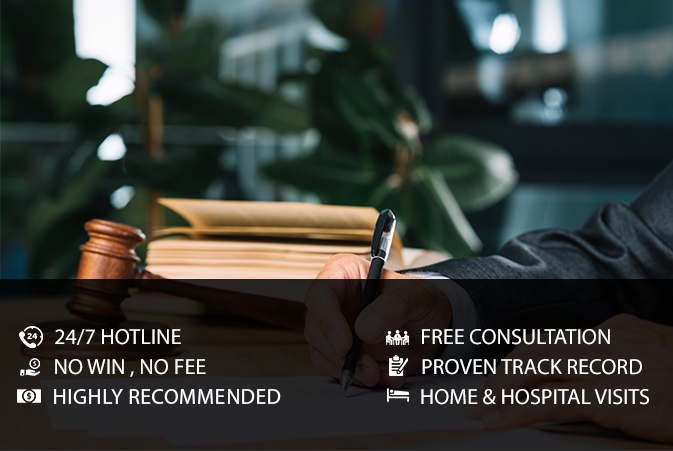 BLFON Personal Injury Lawyer is available for free consultations with no obligations and will ensure that you receive the legal advice that can potentially make a life changing difference for you and your family. BLFON Personal Injury Lawyer is a team of legal experts consisting of lawyers and paralegals that specialize solely in personal injury litigation. Their experience and expertise are your best chance at recovering substantial amounts of compensation whether through mediation and settlement, or litigation and award. The irreplaceable trial experience possessed by our lawyers is crucial, as it ensures that the party responsible for your injuries will be aware that our legal team is ready to take your matter all the way to trial. The vast amount of experience goes a long way when it comes to making sure that you are treated fairly and with respect that you deserve. With countless trials won at virtually every level of Ontario courts we are known to never back down from a legal battle. The assisting professionals at our firm ensure that our lawyers have the best clerical backing available and are able to assist our clients is most of the languages spoken in our province. We often hear stories of lawyers never returning phone calls or emails, and we pride ourselves in the fact that every message we received is replied to no longer than next business day. Several of our senior lawyers are former insurance legal team members which means they know the insurance claim system inside and out which give our clients the upper hand when dealing with insurance companies. By regularly completing their professional development seminars and writing published articles, our lawyers continue to remain on the leading edge of the ever changing personal injury-related legislation which in the end amounts to excellent results for each and every one of our clients. By exclusively focusing on personal injury, BLFON Personal Injury Lawyer ensures that all of our resources and expertise are focused on ensuring that our clients’ rights are protected and they receive 100% of the compensation that they are entitled to by law. Our passion is helping injury victims get the justice they deserve. Get the BLFON Personal Injury Lawyer advantage on your side and contact us today.